Huge thanks to DannoneWave and belVita for sponsoring this post! All thoughts and opinions are my own. 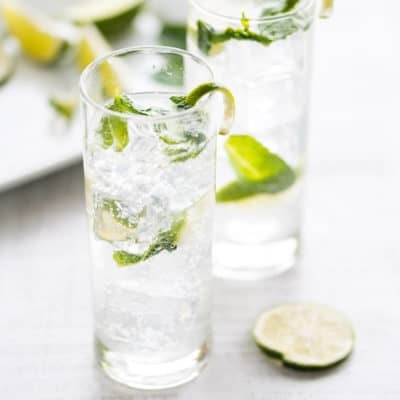 We’ve been indulging and celebrating over the past month, and now it’s time to get back on track. For some that’s health goals, for some it’s eating habits, for others it’s organizing the home. It just seems like December and all the ‘out of routine’ festivities brings us to a different pace of life. And now that’s it’s January–new year– it’s time to get re-focused. You know what really sets the tone for me? Getting started first thing with a ritual that sets the pace of the day. I’m more productive, and less likely to get off track. So, being a foodie and all, it would be breakfast and coffee. 🙂 My new favorite? Yup! 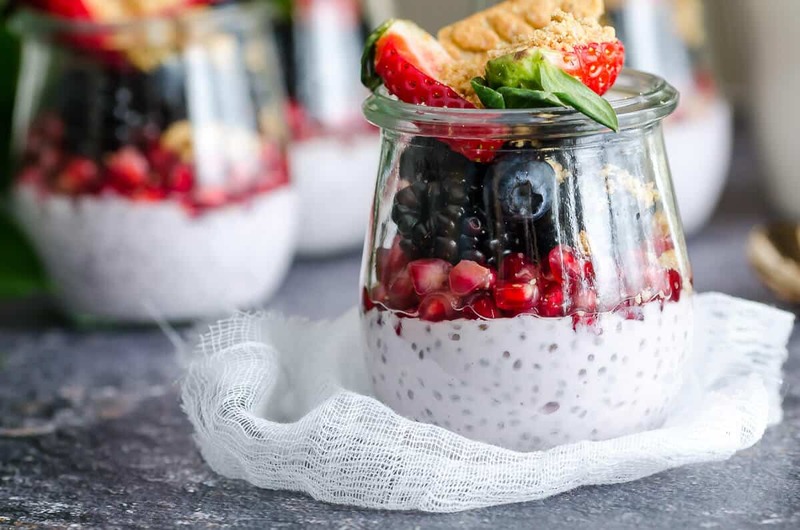 Greek Yogurt Chia Pudding. You saw that coming didn’t ya. 😉 Don’t worry Berry Smoothie and Quinoa Breakfast Bowls, you are not forgotten! But today, we’re having pudding. 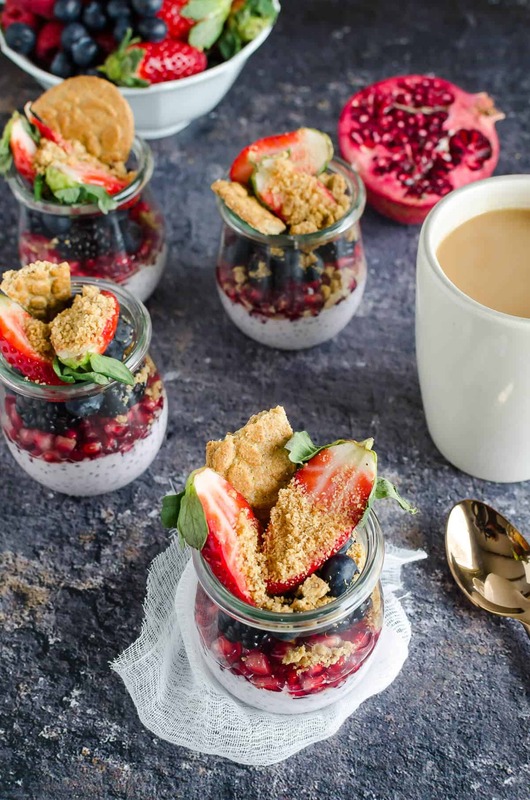 This Greek Yogurt Chia Pudding with delicious coffee is my go-to for breakfast. It’s filling and tasty and keeps me satisfied until lunch. I love the make ahead option, that way I can be prepared for the week ahead. I just have to hide them from my children. 😀 Kidding! Kidding! 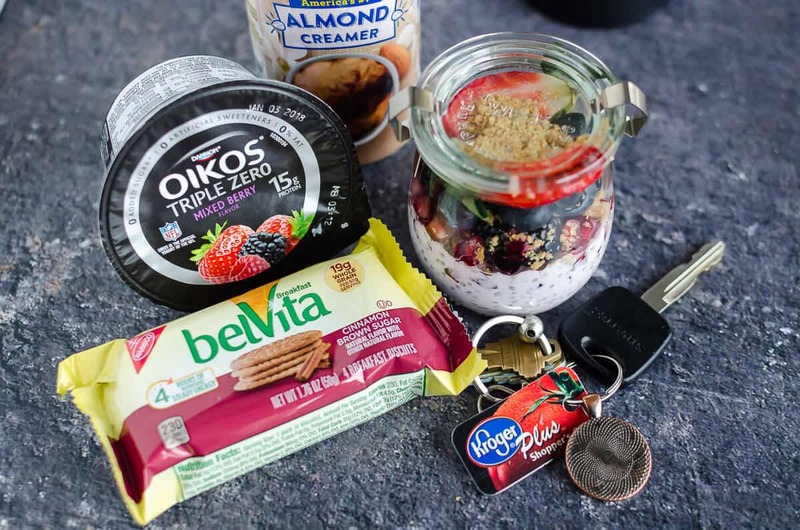 I’m LOVING Dannon Oikos Triple Zero Greek Yogurt for all it is, and all it isn’t! 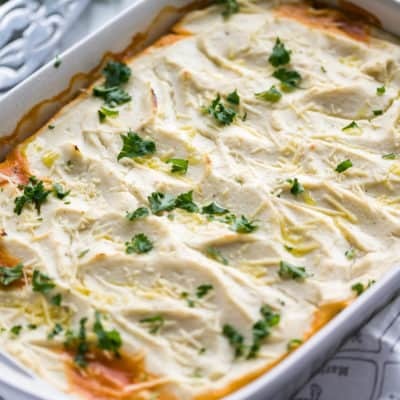 Thick, creamy, flavorful. I used Mixed Berry for the Greek yogurt chia pudding, but try strawberry or vanilla too. I crumbled up some of the belVita breakfast biscuits on top for some crunch and texture, you could also dip it in the pudding, or just eat them together. They’re SO tasty! Don’t forget the coffee! A very important part of the day–am I right? 😉 Where are my fellow coffee lovers? I’m loving the Silk Creamers to give me just the perfect cup! I have Vanilla, Caramel, and Hazelnut and don’t ask me to pick a favorite. I just can’t! 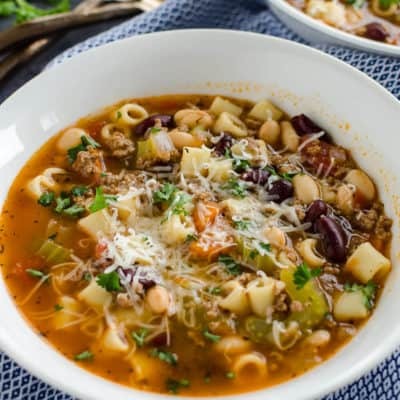 You can grab all the ingredients for this recipe at your local Kroger store. Great news, while supplies last, you can get a FREE SILK CREAMER! So if you haven’t tried them yet, now’s the perfect time. 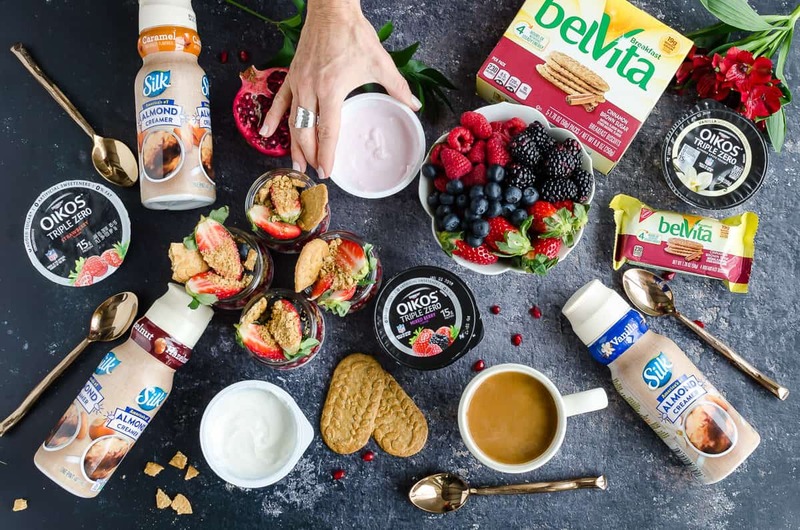 Visit this link to download the load to card coupon and Get 1 Silk Creamer Free when you Buy 2 Oikos Greek or belVita Breakfast Biscuits until January 31. Change up the fruit. How about oranges, pineapple or mango? Use blueberry belVita biscuits instead of Cinnamon Brown Sugar, or one of their many other flavors. Don’t have time to make ahead? 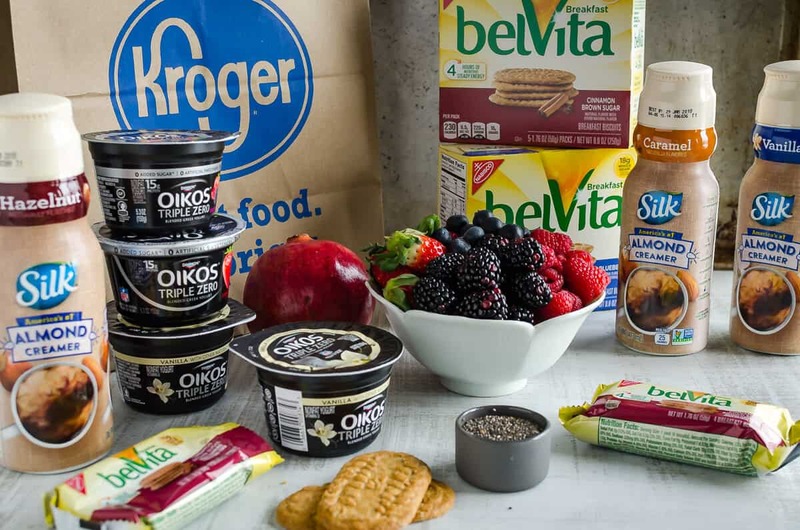 Grab coffee with your favorite flavor of Silk Creamer, an Oikos yogurt, and belVita breakfast biscuits for a quick tasty option at the last minute. The possibilities are endless! So how about you? What’s on your new January routine? And how will you set the pace of the day? 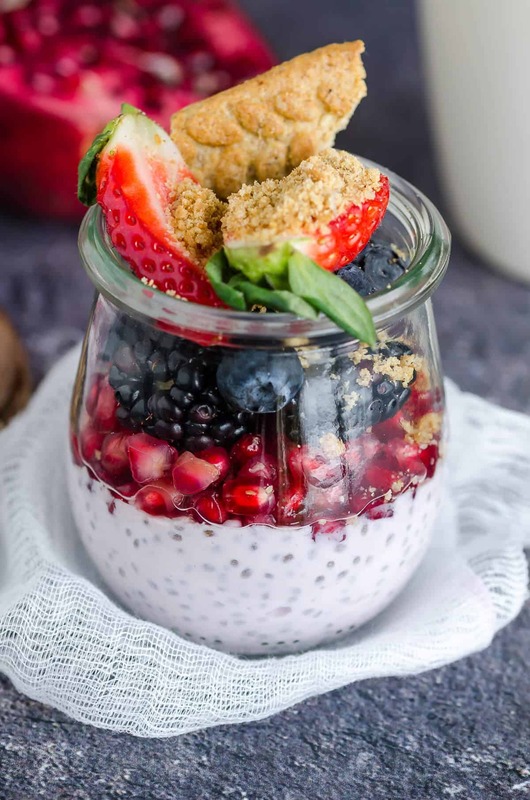 A tasty parfait made with chia seeds, greek yogurt, fresh fruit and breakfast biscuits. 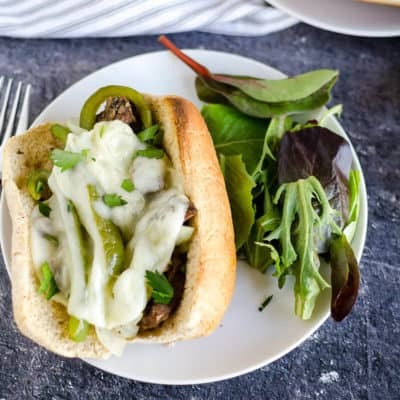 Pair with some coffee and you're off to a great start! 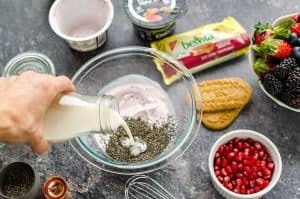 Whisk together yogurt, chia seeds and milk until well combined. 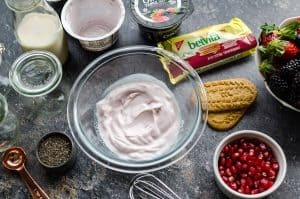 Distribute yogurt mixture evenly into jars or serving containers. 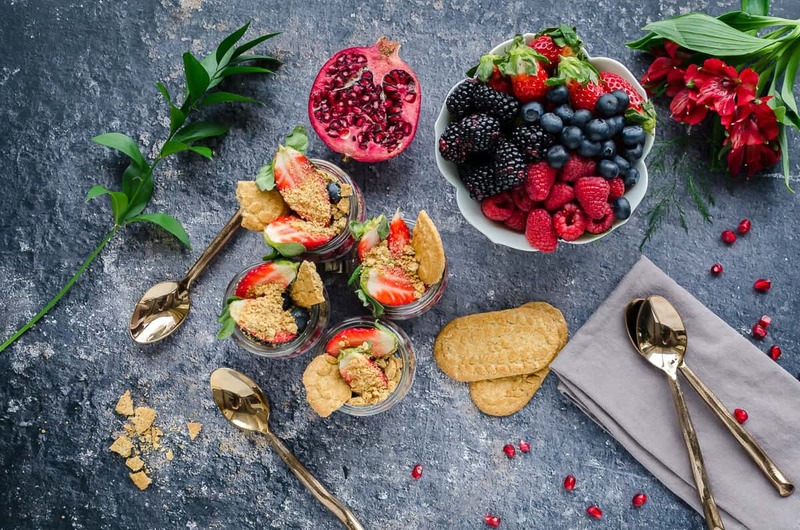 Top each chia pudding with pomegranate arils, blackberries, blueberries, raspberries and strawberries. Let sit in the refrigerator for 6 hours or overnight. 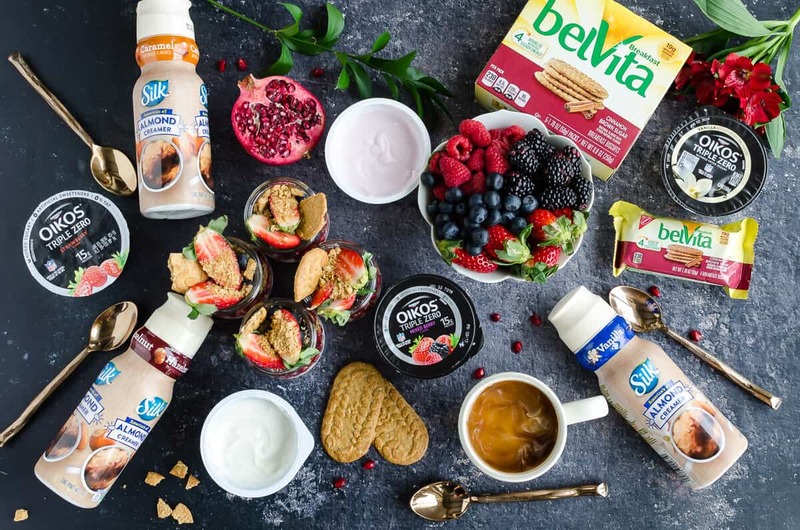 Just before serving, add crumbled belVita breakfast biscuits to the top, enjoy! For ultimate results, let the pudding stand in the fridge for 6-12 hours. If you don't have time for that, eliminate the milk, and eat right away. The chia seeds won't be as soft, but you'll get a little crunch which is still delicious. The longer the chia seeds sit, the softer they become. I’ve got to try that Silk creamer! I have an entire box of chia seeds sitting unloved in my cabinet. 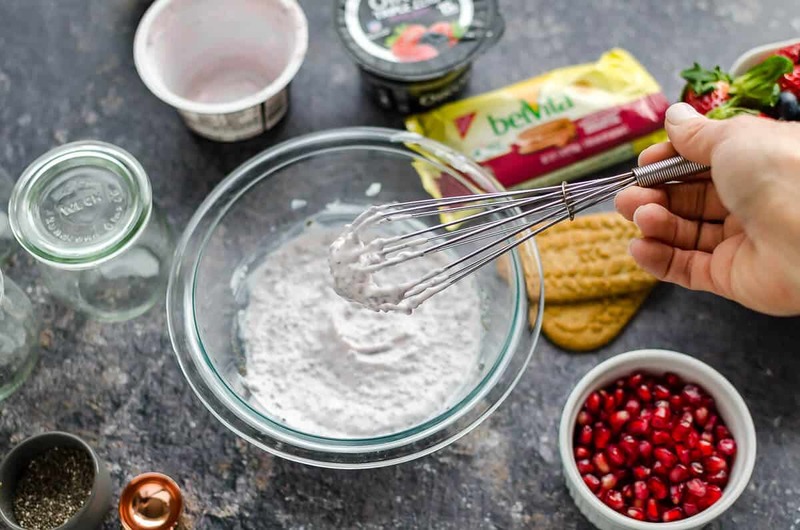 I love the idea of adding those crunchy belvita cookies to it for some different texture- that sounds delicious! Oooooh, I love Oikos yogurt! 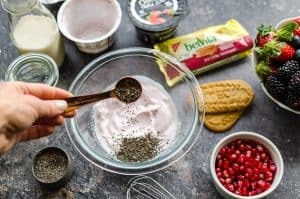 I love trying new chia pudding recipes! Thanks for sharing. 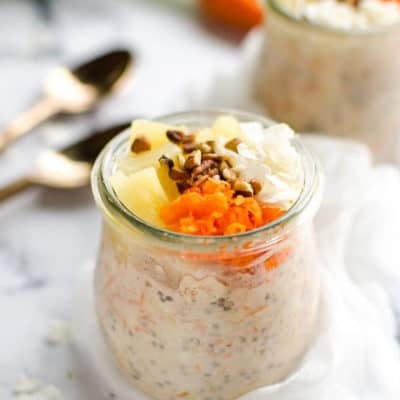 I’ve never tried chia seeds before, but this recipe definitely makes me want to try! Looks delicious! Where do you purchase the jars from? Hi Chenais! I got those jars from Cost World Market. Hobby Lobby and Michaels also have different types of jars. You can also use mason jars. Hope that helps! Tag me when you make it on social media, I’d love to see it! Hey Chellie! I have taken pudding in many times, but this one is entirely different for me. I will try it in my kitchen. That would be very delicious.